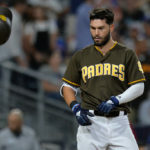 The 2019 Baseball America Top 100: Which Padres Will Make the Cut? As many of you may already know, Baseball America recently released their Top 100 Prospects for the 2018 season. 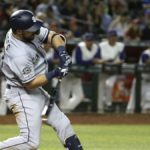 To the surprise of nobody, the San Diego Padres wound up having a whopping six prospects in the Top 100, including having five in the top 52. 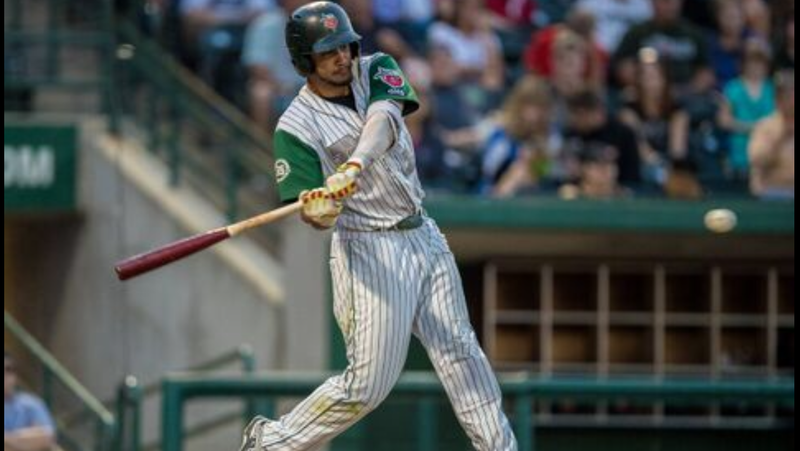 The Padres brigade was led by none other than young 19-year-old phenom Fernando Tatis Jr., who placed at number nine on the list. 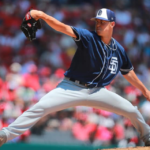 Rounding out the list for the Padres were Mackenzie Gore (26), Michel Baez (28), Luis Urias (32), Cal Quantrill (52), and Adrian Morejon (66). The Padres joined the Yankees with six prospects, trailing only the Atlanta Braves, who featured eight. 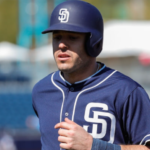 However, it’s never too early to start making predictions for the 2019 edition of the Baseball America list, which should feature a handful of young Padres as well. So, without further ado, lets take a look at some Padres who could potentially find themselves on this very same list a year from now. Tatis made huge strides last year throughout the course of the season, as many Padres fans know. 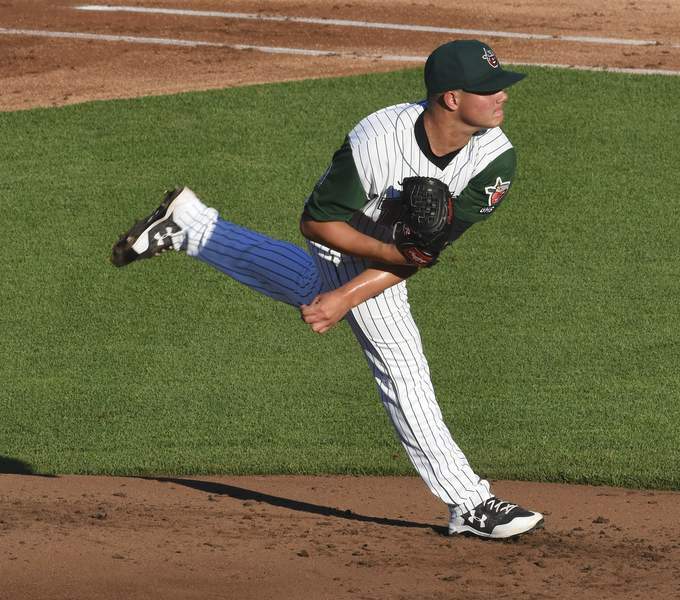 However, he’s still really young, and his jump to Double-A last year showed that it’s going to take him a little bit of time to get acclimated to the better, more experienced pitching he will inevitably face in the higher levels of the minors. Now, I am fully confident that Tatis is the real deal, and will be a future big leaguer and potential All-Star, but again, he’s still very young. Therefore, I believe that the Padres will choose to let Tatis spend the entirety of 2018 in the minors, making his final appearance on the prospect list come early 2019, where he should be in the top 5, at the least. However, he could continue his torrid pace through the minors, and find himself in San Diego sooner than people expect. Gore is another very young, very raw prospect who should find himself on this list again next year, and will very likely be even higher, barring a catastrophic injury. Already, the young lefty has been featured as the top Left-Handed Pitching Prospect by MLB Pipeline, and he’s not even 19 yet. Many are comparing Gore to Cole Hamels, because of his multitude of plus off-speed offerings, to go with a fastball that can sit in the mid-90’s. 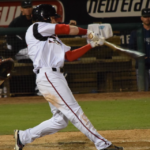 Gore should start the 2018 season at Single-A Fort Wayne, and will have a legitimate chance to make his way up to High-A Lake Elsinore, or even further, before the season is over. Baez, the hard-throwing righty out of Cuba, spent his first full season of professional ball opening many eyes across the baseball world. He had a ton of success at Fort Wayne last season, where he was striking out more than a batter per inning, leading to his ascension up the prospect boards. Baez is definitely an intriguing case, because he has so much raw potential, and with the right seasoning, can become a frontline starter in the big leagues. However, some scouts see him transitioning towards the back-end of a bullpen, potentially as a closer. This will be a big year for Baez, and depending on how he does as a starter this year, could ultimately decide what role he assumes when he reaches the majors. Nevertheless, he should be present on this list come next year, as it’s more than likely he ends this season at either Lake Elsinore, or San Antonio, with an outside chance of making it all the way up to El Paso. Morejon is yet another Cuban that the Padres decided to sign in 2016, along with an $11 million signing bonus. Morejon’s upside, like many of the other current prospects in the Padres’ system, is understandably high, as he projects to become a durable second or third starter, should he pan out once he reaches the majors. Along with teammate Mackenzie Gore, Morejon comes in at number six on the Top-10 Left-Handed Pitchers list by MLB Pipeline. He, as well, should find himself on this list next season, as he is likely to start the season at either Fort Wayne or Lake Elsinore, and my prediction is that he could end up in San Antonio by the end of the year. Morejon and Gore should continue to find themselves as two of the top lefty prospects in the game for at least the next year or two. Espinoza is an interesting case, to be sure. When he was traded for Drew Pomeranz back in 2016, he was immediately slotted as the Padres’ number one prospect by MLB Pipeline, and it frankly wasn’t even close. Espinoza regressed a bit to start the 2017 campaign, and wound up not pitching at all during the 2017 season, having forearm soreness that turned into Tommy John Surgery. He is slated to miss the entire 2018 season as well, which illustrates why he is no longer present in the Top 100. However, when he is healthy, Espinoza has electric stuff, drawing comparisons to a young Pedro Martinez. The other good news is that he is still very young at 19, and can still develop at a normal prospect rate even with missing a full season. The road will be trickier for Espinoza than others around him, but I do believe that he will be featured in this list come next year. 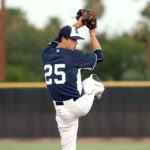 Arias is one of the youngest players in the Padres’ entire system, and in professional baseball in general. He brought that to everybody’s attention when he debuted in Fort Wayne as a 17-year-old, and really held his own, holding down the fort after Fernando Tatis was promoted. Arias has the potential to be a 50 hit/50 power tool guy to go with solid speed on the bases. Pair that along with his outstanding fielding and big arm, and you’ve definitely got the potential for a Top-100 prospect. Arias is likely to spend at least another two or three years in the minor leagues before he eventually makes it up to the Majors, but when he does, he could be the Padres’ shortstop of the future, pushing Tatis to 3rd base. That’s a long way off, however, and many things could happen between now and then. Arias, however, was ranked tenth among the Padres Top 30 Prospects earlier this offseason by Baseball America, so they are definitely giving him some recognition in a really deep farm system. He’ll likely begin the 2018 season at Fort Wayne, but it wouldn’t be out of the cards for him to pull off a Tatis-esque season where he shoots up the system and makes a name for himself. Honorable Mentions: Jorge Ona, Logan Allen, Luis Almanzar, Esteury Ruiz, Hudson Potts, and potentially, the 2018 first round draft pick. 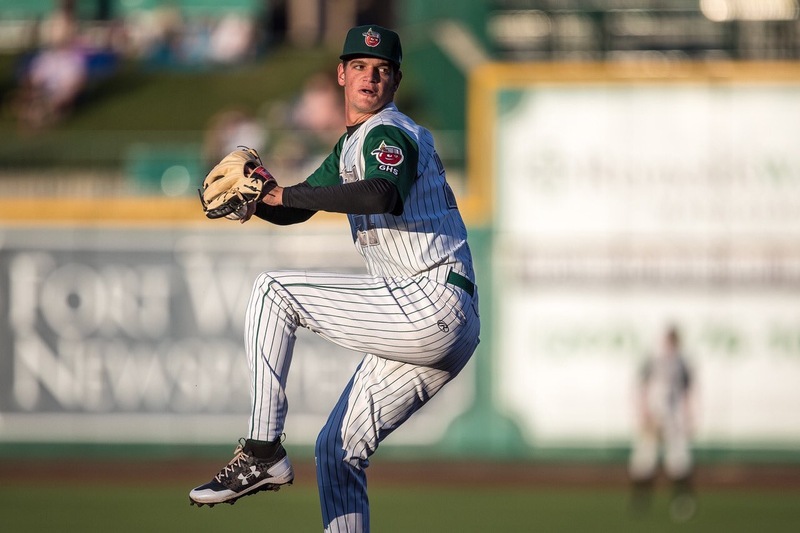 So, while Padres fans should be understandably excited for the results of the current prospect list, the floodgates are just beginning to open. 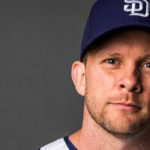 The 2019 Padres farm system should be just as good, if not better, than it is this year. Native San Diegan who is currently playing baseball in Portland at Lewis and Clark College. I love the Padres and my city more than just about anything, so lets get to it! Lucchessi and Laurer also could crack mid season top 100. Also to note Tatis was ranked #3 by Keith Law, and Gore #14. Lots to be excited about. Just need Hedges/Renfroe/Asuaje/Margot/Myers/ Maton/Lamet/Perdomo to progress, ha. He will be in the majors and not eligible for the list in 2019.